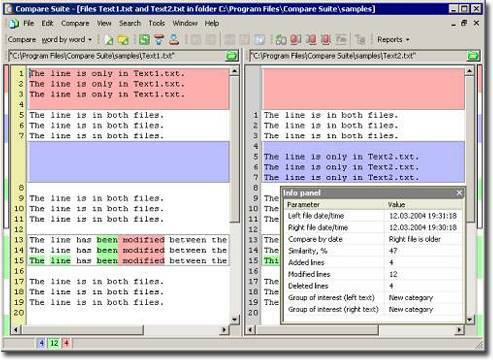 Compare Suite is a file and folder comparison software. It allows to compare office documents, including MS Word (.doc), MS Excel (.xls), Adobe Acrobat (.pdf), Web-Page (.htm) files. Compare Suite can be easily integrated into business system using command line interface and report generation function.